Are you struggling to differentiate your businesses’ services against the competition? Hoping to close more sales, but not sure how to do so with your limited resources? Sales is the part of your business that involves the steps you take to get the customer to actually buy your product or service. 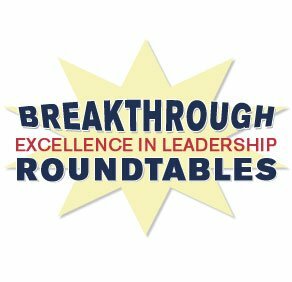 Our November Breakthrough Executive Leadership roundtable sessions will demonstrate how you can successfully communicate your product’s Unique Value Proposition and Unique Selling Proposition to potential buyers and close more sales. Registration for these events is FREE. We hope you’ll join the discussion with other local business owners at the date that is most convenient for you using the links below. If you’re still hungry for more sales tips, check out SBA.gov’s article on eight ways to increase your small business sales.